All you need is a printer and a pair of scissors. I made them Russian doll style. How fun is that? 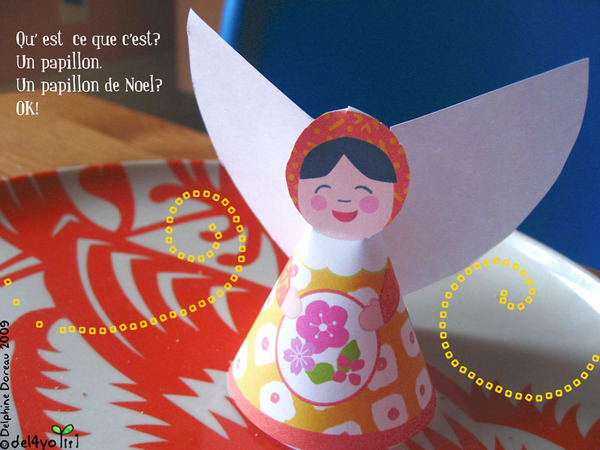 Doing that kind of paper angels is actually a French tradition. 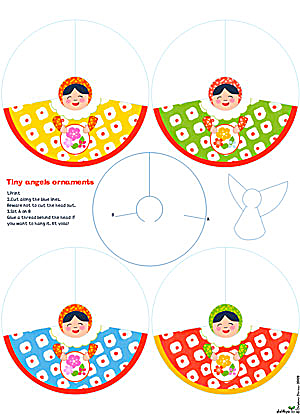 When I was a little girl, my Maman would keep us occupied in the holiday season making those. We had to figure out the pattern with the help of a plate and a napkin ring.It was very difficult, and fun too. Mine are more easy to do! Des petits anges comme je faisais petite avec ma maman. Le schéma du milieu est assez grand pour que vous puissiez colorier, au cas où vous n'auriez pas remarqué. Click-click sur l'image pour imprimer. Amusez-vous bien!